Large-format limited UK HB first edition - signed by the author. 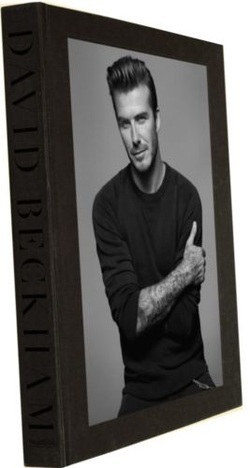 Synopsis : David Beckham is the world's most famous football icon. In May this year he brought down the curtain on a hugely successful playing career that spanned two decades, during which he proudly wore the shirts of Manchester United, Real Madrid, LA Galaxy, AC Milan, Paris Saint-Germain, and England. He captained his country on 58 occasions, winning 115 international caps in total, an English record for an outfield player. His colourful and stellar career has been characterised by the emotional highs of great goals and remarkable trophy successes around the world, as well as by more than the occasional moment of set-back, disappointment and despair, but through it all Beckham has emerged as a universally adored figure, both inside and outside the game. Here, intimately talking us through 150 of his favourite images which define his playing days, he invites us behind the scenes of an incredible 20-year footballing journey.